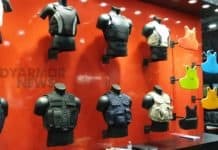 MKU, India’s leading manufacturer and supplier of ballistic protection and surveillance equipment for armed, paramilitary and police forces in over 70 countries announced that it has received notification of compliance from National Institute of Justice (NIJ), the research, development and evaluation agency of the U.S. Department of Justice for at least two of the body armour packages it had submitted for certification under the new NIJ-0101.06 standard. Mr. Manish Khandelwal, Business Head (Personal Protection) said ‘MKU is committed to its continuous research and development practices which help it field cutting edge, innovative & versatile protection products and solutions. These certifications are a proof of our commitment to providing the best and most advanced products to our customers’. According to him “NIJ Standard-0101.06 is one of the most stringent, demanding and comprehensive personal body armor standards ever initiated and mandated by the NIJ. We are pleased to have received these notifications of compliance. These notifications signify a new benchmark for performance of personal protection solutions from MKU”. He specified that these are the first two such notices of compliance received by MKU of amongst various others, which are anticipated over the next couple of months for both soft and hard armour packages from MKU. 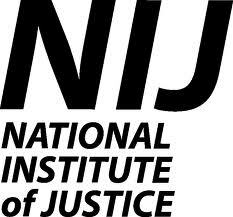 The NIJ introduced the Ballistic Resistance of Body Armor NIJ Standard-0101.06 to create minimum performance requirements and test methods for the ballistic resistance of personal body armor intended to protect officers against threats likely to occur in their line of duty. 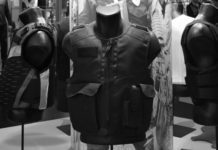 Vests that are in compliance with NIJ-06 must protect against amplified velocities of ammunition, and extreme conditions. NIJ-06 supersedes NIJ 2005 Interim Requirements, Ballistic Resistance of Body Armor (August 2005) and supersedes NIJ Standard-0101.04 Rev. A, Ballistic Resistance of Personal Body Armor (June 2001). 1) To improve performance so that all officers receive adequate protection. 2) To provide adequate protection against threats that are likely to be faced over the next decade. 3) To provide assurance that the armor will provide protection through the life of its warranty. MKU is the first company in India to have received the stringent NIJ 0101.06 certification as above. It is the only pure play defense player within the protection & surveillance sector in India and aims to be a global name in this space. The company is backed with over 2 decades of experience in the industry. It constantly interacts and engages in bi-directional dialogues with leading international defense technology providers to further enhance its domain knowledge and the product portfolio to stay ahead of the constantly evolving threat scenarios.